In the weeks after birth, take advantage of UNM Health System’s ongoing care and support for you and your baby. Review your physical and emotional health. Connect with lactation consultants and other resources. Hormonal changes, sleep deprivation and other factors can sometimes lead to depression or irritability after a baby’s birth. Ask your obstetrician, family medicine provider or midwife for help evaluating your symptoms, finding community support, and accessing therapy and medications. You’ll also want to make an appointment for specialized perinatal mood care in our Journeys Clinic, located in the Women’s Health Center on the fourth floor of University of New Mexico Hospital (UNMH). Call 505-272-2245 for more information. 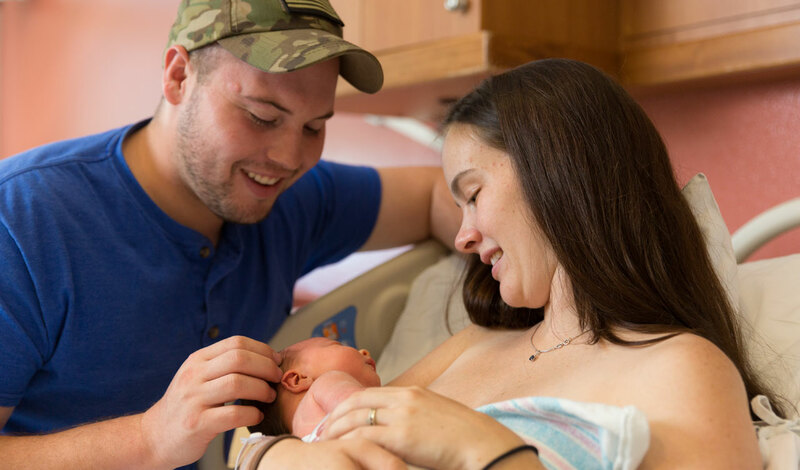 Two or three days after you return home from UNMH, visit our Newborn Clinic to assess your baby’s overall health, feeding, weight gain, any jaundice and, if applicable, circumcision healing. Nurses will answer your questions and, if desired, guide you in breast-feeding. During the clinic, make an appointment for a well-baby checkup at 10 to 14 days of life. As your little one grows, take advantage of UNM Health’s excellent pediatric care by choosing one of our board-certified family medicine or pediatric physicians today, with access to pediatric specialty care when needed. Discover what to expect during your postpartum period [PDF]. You’ll learn how to care for your body and mind at home, and find out what symptoms to watch for in the days and weeks after delivery.